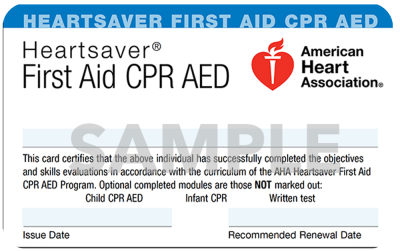 The CPR and AED Course teach how to recognize and treat life-threatening emergencies, including cardiac arrest and choking for adult, child, and infant victims. The course is ideal for caregivers, parents, teachers, and anyone wanting to learn CPR. This course is not designed for participants who are healthcare providers or students in a healthcare program. This course is open to all participants, and does not require any prior medical knowledge or healthcare background. Our course covers treatment of children and infants as well, making this the ideal course for virtually anyone including child care providers, high school students, and individuals in the work place who may deal with others in an emergency situation at home, work, or school. A completion card is issued at this course. This course does not include First Aid instruction. The CPR, AED and First Aid course is designed to provide skills and knowledge to manage the first 10 minutes of an emergency. Topics such as choking, seizures, injuries and bleeding will be covered. This course is ideal for caregivers, parents, teachers and anyone wanting to learn CPR and First Aid. A completion card is issued at the course. 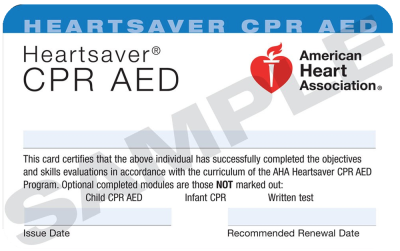 This course teaches the importance of providing high-quality cardiopulmonary resusitation (CPR) for adults, children and infants, using an automated external defibrillator (AED), and giving basic first aid as needed for selected medical emergencies (breathing, choking, allergic reactions, stroke, seizures, etc.). The CPR portion of this course is not intended for healthcare providers or students in a healthcare program. 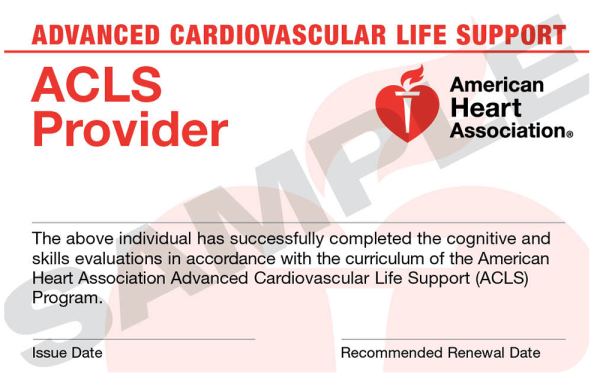 BLS for Healthcare Providers Course includes materials such as adult and pediatric CPR (including two-rescuer CPR and use of bag mask), foreign-body airway obstruction (choking), and use of the automated defibrillator (AED). The intended audience is healthcare providers such as EMS personnel, physician assistants, doctors, dentists, nurses, and respiratory therapists and any student entering the healthcare field (nursing, EMS, etc.) 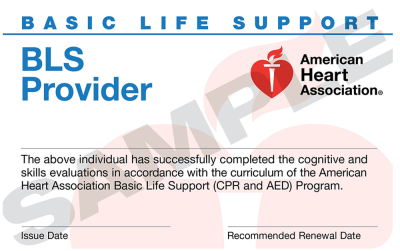 who must have a completion card that documents successful completion of a CPR course. An Advanced course for professional Healthcare Providers covering the management of cardiac arrest, peri-arrest, post-arrest conditions, utilizing electrical therapies, cardiac drugs, invasive skills and advanced airway devices. Taught by Nurses and Paramedics with a thorough, yet low stress approach. 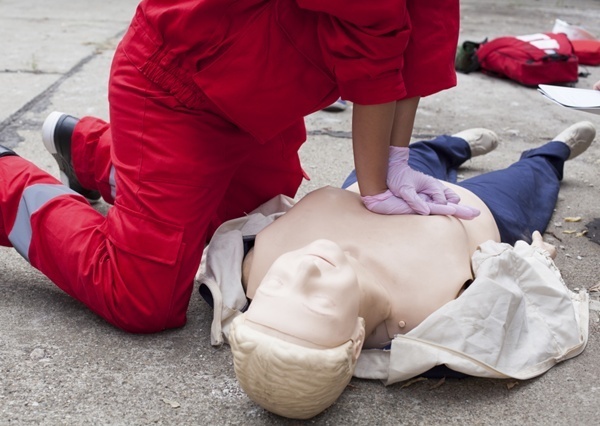 The CPR and AED Course teach how to recognize and treat life-threatening emergencies, including cardiac arrest and choking for adult, child, and infant victims. The course is ideal for caregivers, parents, teachers, and anyone wanting to learn CPR. This course is not designed for participants who are healthcare providers or students in a healthcare program.This course is open to all participants, and does not require any prior medical knowledge or healthcare background. Our course covers treatment of children and infants as well, making this the ideal course for virtually anyone including child care providers, high school students, and individuals in the work place who may deal with others in an emergency situation at home, work, or school. A completion card is issued at this course. This course does not include First Aid instruction.